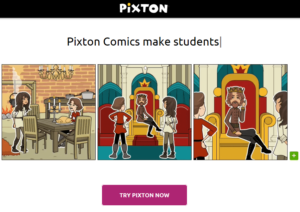 Pixton is a website, created by a husband and wife team, that allows teachers and students to construct their own comic strips. There are a variety of comic strip layouts, numerous character and background choices, and a ton of creative options This is a great learner-centered tool that allows students to construct their own knowledge and display it in a way that is meaningful to them by allowing them to create comics representing their concepts and ideas. 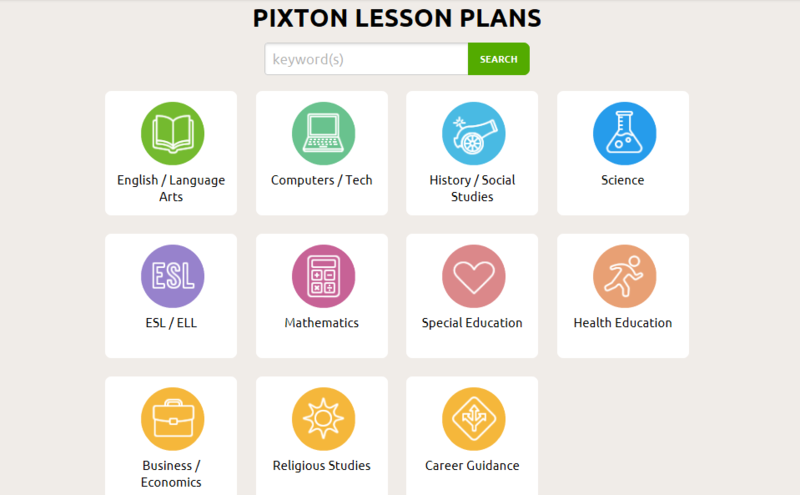 Pixton is accessed through an account that can either be held by a school/district or an individual teacher. The accounts do cost money but the pricing is very reasonable. If you are looking for a new and creative way to engage your students and assess their knowledge and understanding, I strongly recommend checking out Pixton today! 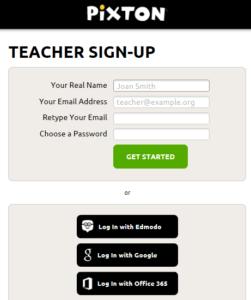 If you are a teacher purchasing the account for just your students then you will have to buy a monthly account. The cost is adjusted for the number of students you have. The cost per student goes down as your number of students goes up. For 100 students, the cost is a little under $20 a month. If a school or district is purchasing the account, they are able to purchase an annual account for $1.75 per student. Pixton is accessible through any web browser and can be accessed on phones, tablets, and computers. Pixton offers a free app for smartphone or tablet use. The website does not specify if there is a preferred browser to use. Pixton is very easy to use. It is relatively intuitive when constructing comics because all of the icons have images indicating what they do. For example the icon with a face can be clicked to add a character. Similarly, click the icon with an picture on it to add a background image. The Pixton website has a tutorial that runs the first time you access the program. You can also access the tutorial through the help center by clicking on the question mark icon at the bottom. In the help center you will also find videos on how to do various things on the website and an FAQ section. You can also directly contact the owners from the help center. 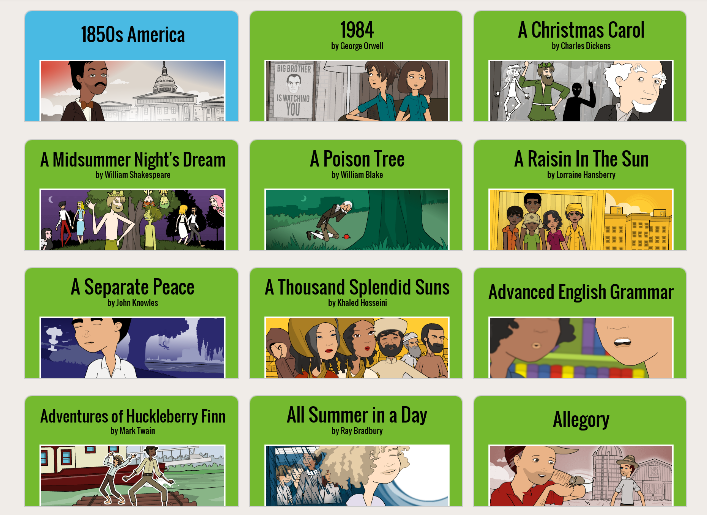 For teachers, there are a ton of resources. You are able to create your own assignments or borrow from pre-existing ones. There are a variety of layouts to suit your instructional needs including timelines, mind maps, and storyboards. Pixton also allows for a lot of creativity. You can upload your own images for the background, you also have direct access to creative commons images. In terms of accessibility, it is unclear whether this website is navigable by keyboard or accessible by screen readers. I contacted the owners to inquire about accessibility, but I did not receive a response. The great thing about this tool is that it makes learning more accessible to studentswith hearing impairments because the text is right there on the page! I was very impressed with Pixton’s equity. They have a wide variety of characters, both male and female, in various roles that do not adhere to stigmatizing stereotypes. Additionally you can change the skin color on every character rather than having to go looking for a business man with darker skin, you can just choose the type of character and customize the skin color. The backgrounds are quite varied, but you are also able to upload your own background to better reflect the setting if you see fit. This website is significantly more equitable than other comic creator sites like Witty Comics. You are able to type in any language that uses the 26 letters on the qwerty keyboard, it is not clear if one can type other languages that use other letters or characters. Substitution: Students can make comic strips digitally rather than by hand. Augmentation: Teachers can create a standard comic with blank text and have the students come up with the narration and comments to summarize a particular event. Modification: Students can create their own comics with specified characters or events to demonstrate their understanding of a certain event. Redefinition: Students can create their own comics with their own characters, settings, and text to construct their own knowledge about a concept, event, character, or anything else you can think of. Students can customize backgrounds with their own images and change the color of skin, hair, and eyes of their characters. The digital aspect of this tool makes it easier for less artistically inclined students to be encouraged and inspired. Math: Have students create a comic strip outlining how to carry out certain mathematical process, like long division, fractions, or order of operations. By adding in their own backgrounds they can include visual and textual explanation. Science: Have students summarize a scientific discovery or the evolution of a scientific concept in comic form. 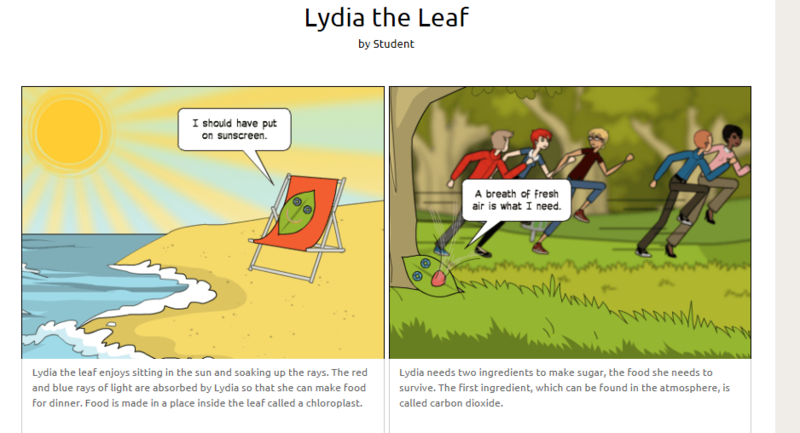 Or have students construct a comic that illustrates a scientific process like photosynthesis. English/Language Arts: Have students summarize a scene, book, or character by constructing a comic strip. They could also construct a timeline about these developments. Art: Comics strips can encourage creative expression and Pixton is a way to motivate students who are self-conscious about their drawing skills to still be creative and expressive. 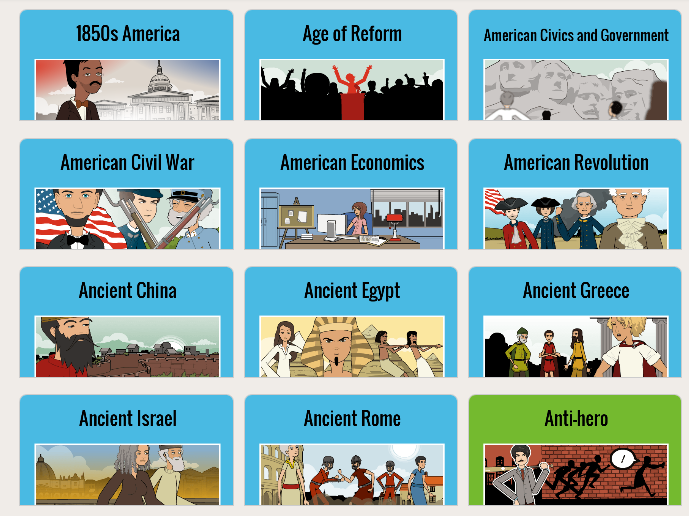 History: Students can break historical events down into digestible and relatable stories through the creation of a timeline. Have them tell the story of the Boston Tea Party or Genghis Khan in a fun and creative new way. Or, have them create their own political cartoons to discuss current events. Azman, F. N., Zaibon, S. B., & Shiratuddin, N. (2015, November). Digital Storytelling Tool for Education: An Analysis of Comic Authoring Environments. In International Visual Informatics Conference (pp. 347-355). Springer International Publishing. Maldonado, N., & Yuan, T. (2011). Technology in the classroom: from Ponyo to “My Garfield Story”: using digital comics as an alternative pathway to literary composition. Childhood Education, 87(4), 297-301. Rogers, M. F., & Myles, B. S. (2001). Using social stories and comic strip conversations to interpret social situations for an adolescent with Asperger syndrome. Intervention in School and Clinic, 36(5), 310. Tatalovic, M. (2009). Science comics as tools for science education and communication: a brief, exploratory study. Jcom, 8(4), A02.